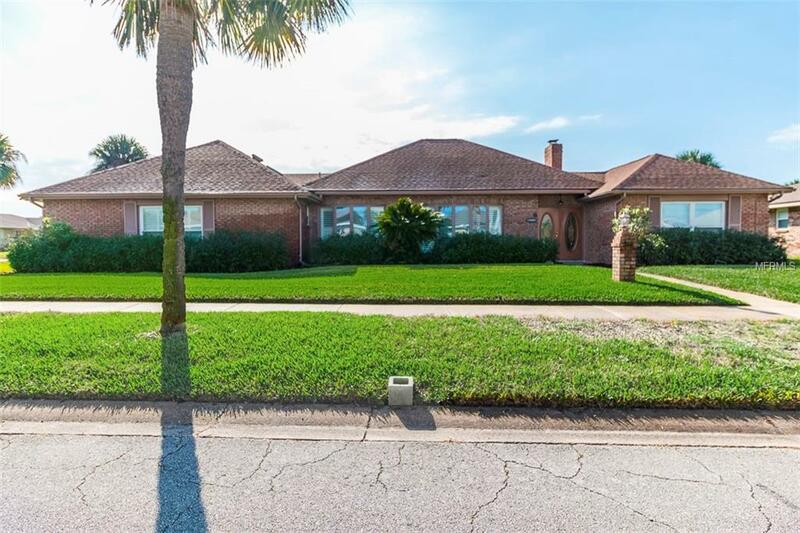 Live the Florida Lifestyle... Live in Ormond by the Sea in this well maintained brick in-ground pool house that is just minutes from the ocean and the river. The etched glass double door entry opens into the large foyer, the sunken living room, the dining room and it flows into the family room (w/fireplace), and the over sized kitchen w/granite countertops, upgraded appliances, an abundance of cabinets, and the large dining area, all of which are overlooking the 45' Florida room and out to the jumbo heated pool!! Also included in this home are newer windows and doors, 2 master suites (one is huge), an over sized garage and a double gate entry to the back yard can accommodate a boat/ RV or camper!